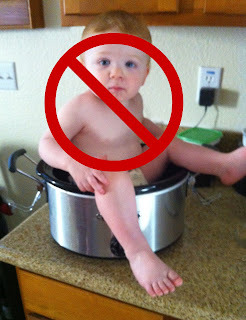 That there is no warning on a crockpot that you shouldn't put your baby in there... this realization came after a conversation with one of my best friends from high school. So we decided I needed to take a picture of Zac in the crockpot to remind us that babies do not belong in the crockpot. 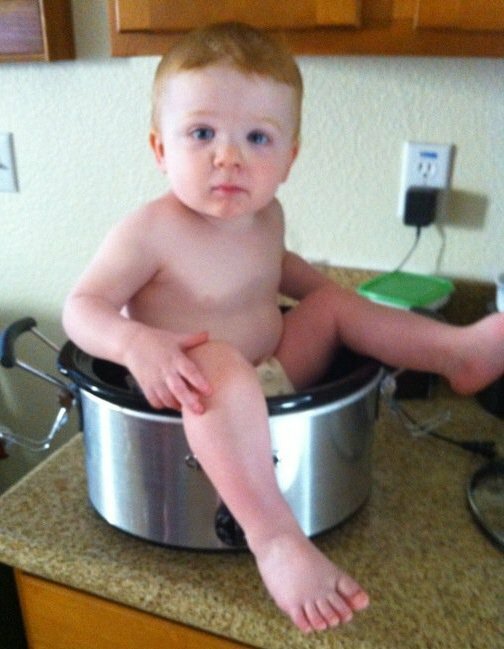 I think he looks real cute in that crock pot -- I think that babies should sit in a crock pot -- certainly better than that "bath tub bucket" you got him!